That's it! It was channel 18. Now finding out that the phone line had to tied to box explains it. Wayne, this angle is better. You’re right, this might be the tv I was thinking of! 1969. It was huge! 2001 A Space Odyssey aesthetic of 1968. Would fit right in on the Discovery One. Don't know whether I mentioned this before, but at AT&T in Cincinnati one of my job duties was the television operating center, where the networks converged for distribution to three local TV stations. 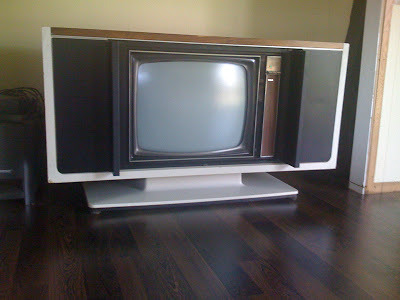 The company installed a small-screen RCA color monitor when color came out, and I became an early viewer of the new technology, occasionally showing it off to visitors during open house. 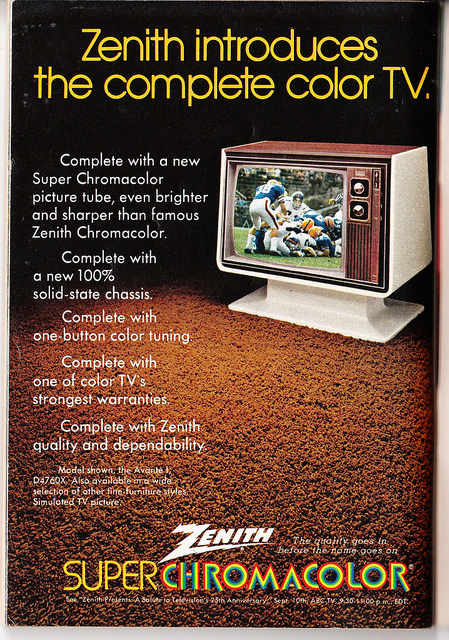 Color barely improved the soap operas, but did make the commercials slightly less annoying!